Check-in, get your name tag (needed for access to all SND Charlotte events), and pick up your loaded workshop welcome bag. 'Think Before You Make,' sponsored by Upstatement and CQ Roll Call: This pre-conference workshop is dedicated to team-building, design problem-solving and organizational communication. We’re ditching our laptops and heading outdoors for small-group conversations at the beautiful U.S. National Whitewater Center. Oh, and did we mention the ropes course? An additional $125 registration fee applies for this event. Transportation to USNWWC and a free lunch will be provided. Student Day, sponsored by American City Business Journals: This student-only workshop includes a handful of speakers, portfolio critiques and a free lunch. The day will start in the mid-morning at ACBJ headquarters, which is a few blocks from the Sheraton hotel. American City Business Journals (ACBJ) is the largest publisher of metropolitan business newsweeklies in the United States, with 43 business publications across the country reaching more than 3.6 million readers each week. The main workshop kicks off with a networking event at the U.S. National Whitewater Center at 6 p.m. Join us on Abbey Island for passed hors d'oeuvres and drinks. Thanks to our friends at Alley Interactive and Advance Digital, the first drink is on the house. And, as a special treat, there will be a band! Yacht Rock Schooner will jam out with us for a couple of hours. Transportation from the Sheraton hotel to the USNWWC will be provided. Buses will pick up passengers in front of the Sheraton Hotel lobby starting at 5 p.m.
Grits with Gurus is a chance for anyone to sign up to break bread with a design luminary. We’ll have five gurus and match up to five breakfast companions on both Thursday and Friday. (Please note: Attendees are responsible for their own breakfast expense; everyone is responsible for witty conversation). There’s a saying we eat with our eyes first. So how do chefs plan dishes to impress the eyes and the palate? Chefs Paul Verica and Ashley Boyd discuss how they conceptualize new menus and desserts, design their plates, and make sure their restaurant’s message is made clear through to readers through the food they serve. Did we say readers? We meant diners. Just like print and digital designers, chefs must often decide between innovation and accessibility while working in a deadline-driven environment. With the release of the 2020 Report, The New York Times made it clear that our future rests on visual storytelling. Designers from both the editorial and product teams will discuss the various routes through which we are applying design principles to redefine our core storytelling structures and to elevate the role of design and designers in the process. Commercial Type make typefaces for everyone; from numbers on the back of sports uniforms, to micro letters on watch faces, but making typefaces for newspapers holds a special place in their hearts. Since designing the famed Guardian typefaces, they have continued to make new and exciting forms for print and now screen across the world. Partner Paul Barnes will talk about a few of these projects, the collaboration Commercial Type form with designers and editors, and what makes a successful face for newspaper and editorial design. SND Foundation Silent Auction, sponsored by Hoefler & Co.
MIKE SALES. Stakeholder Management. Mike will discuss ways to balance the business and creative demands on any high profile digital project, producing a great user experience, increasing engagement and delivering on the financial return. DAVE STANTON: Reactive Wireframing. I will describe a workflow for creating dynamic wireframes that incorporate persona-level nuances and leverage mock API services to validate data assumptions as well. These wireframes can be used for usability testing and can be easily modified at the persona level as testing uncovers usability problems. Since the acquisition by Amazon founder and CEO Jeff Bezos, The Washington Post has gone through an amazing transformation during the past three years. Two people critical to that transformation and growth are Emilio Garcia-Ruiz, Managing Editor, and Joey Marburger, Director of Product. Join them for a fireside chat to learn about what the past few years have been like at The Post and what the future holds. The Digital Media Design team at NPR strives to design experiences that meet listeners and readers across the all places they are now and will be in the future—websites, smartphones, tablets, connected cars, connected homes, wearables, and more. Over the past several years, the team has launched and iterated on NPR One—NPR’s personalized, on-demand listening service—on over a dozen platforms. At the same time, we’ve redesigned large swaths of NPR.org, entirely rebuilt the web audio player, created essential internal editorial tools, and embarked on a ground-up rebuilt of the flagship NPR mobile app. Through all these projects, maintaining a consistent, shared vision of how we reach audiences and serve journalism has been essential. In this presentation, I'll discuss three keys to successful platform and product design at NPR—audience-centric research & design processes, service to journalists, and partnership with local stations. I'll explore how these key themes impact our work and share the lessons we’ve learned in designing products that scale while meeting the needs of each of these core constituencies. Daniel Newman is the Deputy Creative Director at NPR. An exercise in Information Design and signage applying Guemil icons. This hands-on workshop, oriented to a wide design-minded audience, will promote collaborative, experiential, and knowledge sharing through creative experimentation. In short: A workshop to explore information design creating a DIY signage project, applying Guemil icons for emergency. Required: Creativity, a curiosity dose and an active participation approach, ideally bringing fresh ideas. This workshop was designed to develop your sketchnoting skills and to strengthen your visual thinking abilities. The topics and exercises we cover are designed for beginning sketchnoters. Can't draw? No problem. I'll teach you the basics of drawing and guide you through your sketchnotes. If you have a positive attitude and are willing to experiment and share your work with a small group, you're perfect for this workshop. Everything is provided. You'll receive a paper, pens, and pencils. Invest in yourself. Visual thinking skills are valuable for capturing, generating, analyzing and communicating ideas. Spend a day building your skills and your confidence with The Sketchnote Workshop. Dave Crossland, Roger Black, and David Jonathan Ross (DJR) have just one word for you: Variations. Or, as it's more formally known, the OpenType 1.8 Font Variations format. It’s the first big change in digital fonts in twenty years, and has big potential for news designers. Compressed and Wide—and everything in between. Designers can select weights anywhere between light and bold, shaking off the fixed incremental constraints inherent in traditional fonts. If you need your type to be a little bolder for smaller sizes, you can simply adjust it in the style sheet without adding another font to the library. This can save space on a network, reduce load times, and provide more flexibility. Roger will explain what this whole variations thing is all about and explore how the typographical lessons of the past few centuries have led to this new format. “Coordinating styles and sizes of fonts in a publication is much of our work,” Roger says, “and now we’re working on many platforms for the same news brand.” The OpenType Font Variations format is a solution that will make it all work together. Dave, who has been fascinated with the power of type interpolations since he began studying typography in the early 00s, has commissioned two groundbreaking Variations Fonts for Google Fonts from David Berlow and the Type Network team. * These powerful fonts exploit more “axes” than just weight and width. Decovar changes the tips of the stems and adjusts the height of the crossbars within letters. Amstelvar has primary axes that enable 'programmatic' typography. With Variations, responsive web design now includes responsive typography. The future of typography is every day! **DJR’s Fit, which has a Variations version in Beta. With the advent of voice-activated products and platforms, more news companies are dipping their toes in voice and conversational bots. For designers, this raises the question—how do you approach design when it’s invisible? In her session, Sanette Tanaka will go over how her team designed an Amazon Echo bot, never having worked with voice interfaces prior. She will walk you through the steps she followed to adapt her design process for voice, and introduce some methods that you can incorporate in your own newsroom. It’s with great pleasure that we introduce two of the SND Lifetime Achievement Award winners for 2017: Darcy Greene and Cheryl Pell. Darcy Greene and Cheryl Pell have taught together for nearly 30 years at Michigan State University in the College of Communication Arts and Sciences. Bringing students to nearly every SND workshop since 1994 and spearheading the strong student chapter, Greene and Pell are often referred to as the Society’s dynamic duo. The pair even wrote a joint statement when notified of their awards! Rob Schneider is the Creative Director for the Dallas Business Journal, former president of The Society, and coordinator/producer of the SND Lifetime Achievement Award presentations this year. Guerilla Portraiture is the act of learning to observe and record what you actually see fast enough so that nobody punches you for it. Between 30 and 50 percent of the brain is devoted to processing visual information. It’s important. The actual act of drawing, regardless of how innately talented the artist might be, sharpens his or her ability to interpret the physical world — much like reading or the study of math do. Drawing people, especially people who do not want to be drawn, is like a master class in the language of visual communication that you can take any time. On a bus, in a hospital waiting room, stuck at the DMV? Stave off boredom and make yourself smarter with this delightfully subversive practice. 3. Draw. We’ll start with quick sketches of one another before, weather permitting, heading outside to find random, unwitting targets. Is your Instagram account sluggish? Want to take it to the next level? Learn how to tell compelling stories, and create a strong personal brand on Instagram. This session is designed to inspire you and help you develop your own unique style, while avoiding common mistakes. Attendees will need an iPhone, or an iPad, and a digital camera (optional). Protip: Have your Instagram account setup ahead of time and be ready to step out for some fresh air -- the session will include a 30 minute insta-walk. NURI DUCASSI: The Icebreaker Connection. How a Cuban-American designer brings sunshine infused punch and energy to the pages of the Toronto Star from her tropical South Florida base. ANDREW MERRIAM: Designers as the world’s most ambitious salespeople: What I’ve learned as a non-designer following designers for 2 years. YURI VICTOR: Web design is dead. The future of design is undergoing an evolution as audiences move away from websites to environments where designers have little control or capabilities such as Snapchat, Apple News, Facebook Instant Articles, or Accelerated Pages. This talk will discuss the death of websites and apps, embracing change, and what's next for designers. For any company, the path to success is always charted by its people. But how do you build products and teams that win? How do you establish processes that meet key business objectives, but still give your team room to run and grow? What does good leadership look like these days? In this keynote, we’ll hear from three digital leaders who have answered questions like these and proven success at building teams for organizations like ESPN, theSkimm, Texas Tribune, The Washington Post, and Whereby.Us. This session is intended to be conversational, so be armed with questions for our three presenters. Before you could catch 'em all, developer Jeff "Bo" Boghosian had to code 'em all. In this session, one of Niantic Labs’ lead developers will discuss the evolution of the startup from Google spinoff to creators of the most-downloaded app of 2016. Boghosian will also talk about what it takes to innovate, how augmented reality is changing the game of gamification and what newsrooms can learn from Pokemon Go. Newsletters have emerged as an easy way to reach audiences with low tech lift, while having a path to monetization. Media startups are understanding the power of the newsletter -- the just-launched Axios already has a popular morning briefing and CNN's Reliable Sources by Brian Stelter breaks news and is building a brand beyond television and direct connection to audiences. Other newsletters like TheSkimm and Lennyletter have galvanized women. In the last year, Quartz launched two newsletters - a Spanish-language newsletter, La Agenda Quartz, and a lifestyle focused newsletter called Quartzy that has drawn advertisers such as Chanel and Shinola. This session will explore newsletter design and strategy -- how it has evolved, the potential of it, suggested best practices and where the opportunities still are. Lessons from the legends: SND’s 2017 Lifetime Achievement Award recipients have spent decades teaching visual communication to thousands of students, with alumni working across disciplines in newsrooms and creative offices around the world. Darcy Greene, Cheryl Pell and Randy Stano share the lessons they have taught — and learned — about what principles persist, what evolves and what may yet appear on the horizon. Join us after dinner for an SND Annual Workshop tradition at CJ's Jazz Club, located inside the Sheraton. We've rented out the entire space for this singing showdown, which benefits the SND Foundation and promises to be a good time for singers and non-singers alike. And thanks to our friends at Maps4News, the first rounds of drinks are covered! Please note: $10 cover charge gets you in the door, 2 drink tickets, snacks and served appetizers, and a swank, cushy red velvet seat in the lounge. Join the regular monthly meeting of Creative Mornings Charlotte before Day 2 of SND Charlotte. We've made special arrangements for your to join this great event to meet local creatives and hear an inspirational message -- and grab a quick coffee and breakfast all at once. Creative Mornings Charlotte gives Charlotte’s fast-growing creative set a place to call home – to gather each month to get inspired, support each other, forge relationships and collaborate. It is committed to showcasing Charlotte’s creative thinkers, makers and doers on a global level. SND Charlotte is proud to sponsor the April gathering with architect and former Mayor Harvey Gantt. Sessions typically “sell out” in minutes, but any Unite + Rebel attendee interested in visiting Creative Mornings Charlotte can do so by simply pre-registering with SND. What is Creative Mornings? It started with a simple goal: breakfast and a short talk one Friday morning a month. Every event would be free of charge and open to anyone. Today, attendees gather in cities around the world to enjoy fresh coffee, friendly people, and an international array of breakfast foods. Volunteer hosts and their team members organize local chapters that not only celebrate a city’s creative talent, but also promote an open space to connect with like-minded individuals. The sessions are held in different locations every month and are arranged around a theme topic that each of the 164 global chapters interprets locally. Trust in the news is collapsing, even as hoax news and information are on the rise. How can journalists show the hard work and care behind the news and win back our trusted role in civil society? The Trust Project, a consortium of news organizations, is developing solutions to boost high-quality news in distribution systems and show the methods behind it. Sally Lehrman director and founder, will share findings from the project’s design thinking approaches and the solutions design and product teams are working on, informed in part by a 2016 partnership with SND. PANEL: Best of the best-designed: How'd they do that? We'll hear from three different designers/project leads who will share the backstory and general context of their recent wins/finalist ranking in the SND print, digital and World's Best competitions. Tim Parks is the creative director for the Omaha World-Herald. His work has been recognized by several design organizations, and he has won multiple SND medals and awards. He was the SND38 print competition coordinator. Alexa, the voice service that powers Amazon Echo, provides capabilities, or skills, that enable customers to interact with devices in a more intuitive way using voice. Examples of skills include the ability to play music, answer questions, set an alarm or timer, and more. At this skill-building bootcamp, Jeff Blankenburg from the Alexa Skills Kit team will be onsite to help you add your own skills to Alexa. This bootcamp is built for developers and non-developers alike. You do not have to know how to write code to create skills for Alexa. Sure, you drink IPAs and have dabbled in homebrewing. Would you go giving advice to an acclaimed craft brewery owner? Just like too many people in newsrooms think they can design as well as a designer, drinkers think they can jump into beer and compete with the best. Owner of NoDa Brewing Suzie Ford discusses how her company works with designers to create a brand that is recognizable and why it’s important to have the product and acclaim that back it up. Now that CSS Grid is here, what are we going to do with it? Sure, we can create page layouts very similar to the ones we’ve been using for the last decade, but CSS Grid also opens up a world of new possibilities. Graphic designers of the 20th century fell in love with using a grid for their layouts. How might we apply their ideas to the web, and what might have to change? What do we need to think about when designing for this new paradigm? In this far-ranging talk, Jen will explore the realities and possibilities of new layout technologies and how they will change our craft. You'll leave with exciting new techniques and ideas for your design and development toolkit — and, more importantly, with the inspiration to create bold, new, previously unimagined layouts for the 21st century. Tobias Frere-Jones will look at the mechanics of reading, and how he repurposed a centuries-old solution to improve on-screen legibility. Whether it’s a few words in an interface or a thousand words in a blog post, we read words on screens over and over each day. But even with advances in resolution, screens can still hinder us in recognizing and interpreting letters. Frere-Jones has spent decades studying type history and working with today’s rasterizing technology. He found a strategy — commonplace for hundreds of years — that could be applied to this new challenge, and help our eyes and brains in a pixel environment. He will present a case study of a recent type design project applying these renewed strategies to improve legibility. Three, two, one … blast off! Okay, you already know how to design so now’s time to fire up your engine with more impact by adding motion to your design game. With the explosive growth of motion graphics this is a great opportunity to participate in our hands-on motion graphics session and skyrocket to next level of storytelling. Visual journalism at scale: How The New York Times is developing more powerful storytelling tools in its CMS and digital platforms, and transforming the newsroom's ability to tell stories in more visual and digitally-native ways. How can you tell your biggest story from every possible angle? How can you be ready for the unexpected? And, what if your biggest story never ends… but just keeps going and going and evolving? For The Post and so many organizations, our biggest story the last 18 months has been the Election, then the Transition, and now on to the 45th Presidency. We’ll walk you through a range of work from our more than 100 projects, 400+ pages and countless other pieces we built across platforms. We’ll highlight what led to some of our best Election coverage in the newspaper's history, while not shying away from the things we wish we had done differently. Most importantly, we’ll make sure you walk away with a blueprint on how your newsroom might be better prepared for your next big story. An exploration of the impacts on visual storytelling and design triggered by the economic pressures of the news industry, with reports from around the globe. Moderated by David Kordalski. It’s with great pleasure that we introduce the third SND Lifetime Achievement Award winners for 2017: Randy Stano. Stano has taught at the University of Miami School of Communications since 1995. He served as president of SND in 1992, the same year that Hurricane Andrew devastated communities south of Miami. The Miami Herald won a Pulitzer Prize for that coverage, design-directed by Stano in 1993, along with a Best of Show and six gold medals from SND. Earlier, Stano served as assistant art director at The Kansas City Times when they won a Pulitzer for coverage of the Hyatt Hotel disaster in 1982. ROB BIELING (Maps4News). Challenges in creating a browser-based mapping tool for newsrooms. Need a map for your news design print or online? Mapcreator has created the cartographic tool Maps4News together with newsrooms from all over the world. Let’s have a quick look at aspects of cartography that are needed in a good tool. TONY SULLIVAN (wemap). How smarter maps can help build smarter communities. The next World Cup is just around the corner. Yep, you heard it right, that's next year. But when do you start brainstorming your content or create a plan of action? Our answer: Now. In this session, get some insights and inspirations from two speakers from Times of Oman who were responsible for orchestrating an award-winning World Cup supplement. It was a showcase of creativity, graphic and visual experiments that earned Times of Oman two Judges' Special Recognitions in SND 36 for its "indefatigable creativity" and its "creative range and spirit." Just consider how they managed to pull off one edition without any text -- just pure visuals. Or how they produced a life-size 3D ball graphic that won two gold and named the "Best of Show" in Malofiej Awards. We have changed jobs a few times in our journalism careers. Okay, if you must know, between the two of us we have held exactly 28 different jobs in journalism. What were we thinking? Here's your chance to find out. We'll sort through all our hopping in search of lessons that might be helpful as you make your own future career choices. How do you know when it's the right time to change jobs — and how do you assess if an offer is right (or wrong) for you? How can you acclimate quickly to a new environment and start making a difference right off the bat? Should you worry about staying in one place too long? We'll tackle all the tough career questions you've always wanted to ask a couple of serial job hoppers. Lauren Leto and Sam Williams both build conversational products, but they come at it from completely different ways. Leto is an author, entrepreneur and product nerd best known for co-founding the viral website, “Texts From Last Night.” Her latest product, “Listen,” could fundamentally change how we use mobile devices by treating phone numbers as usernames and prioritizing conversation like a social feed. Williams is a software engineer for the Quartz bot studio, where he helped build the organization’s first news app and tinkers with experimental projects. In this session, Leto and Williams will share tips, tricks, and lessons learned from their efforts to build conversational products inside and outside the newsroom. This session will be your chance to unwind, breathe and just let loose on a creative project. We’ll be creating content to be included in a time capsule — that’s right … a time capsule — that reflects the hopes, dreams and fears you have at this time, as you continue your work as visual communicators. This session will give you the space, energy and materials you’ll need to create a tangible piece that ponders these questions, and it will be part of a greater whole that will be displayed at the workshop — then tucked away safely for future generations to discover. Learn how to use 3D models to advance your information graphics with Fernando Baptista of National Geographic. In this hands-on session, Baptista will teach you how to create clay sculptures that advance storytelling across platforms, with a focus on achieving the best point of view, texture, and light. You don't have to be an expert sculptor to attend this session — just come with a desire to learn! Centralized printing operations were the first wave of productivity enhancements for news operations. That led to better equipment (one good press can be better than a handful of older presses), improved quality control (easier to monitor and adjust one than a dozen), and usually results in better delivery from plants located near major roads. But what about design and layout… and copy editing? In this wide-ranging discussion, you’ll discover there’s no one-size-fits-all… and that these hubs often create other important content creation capabilities. Interested in exploring a design hub for your organization, or what it takes to work in a design hub? Leaders from the leading design hubs/centers will share their insights in the double-session sponsored by the Reynolds Journalism Institute - Missouri School of Journalism. We'll examine the current state of the state of life in the nation's leading shared design centers, and include information from clients of these hubs, and lessons learned. The best way to design a web page is to build a web page. In this session, design and technology leaders from Alley Interactive will give real-world examples of the in-browser process used to design, prototype, test, and release complex, high-traffic sites for clients like Digital First Media and The Brookings Institution. 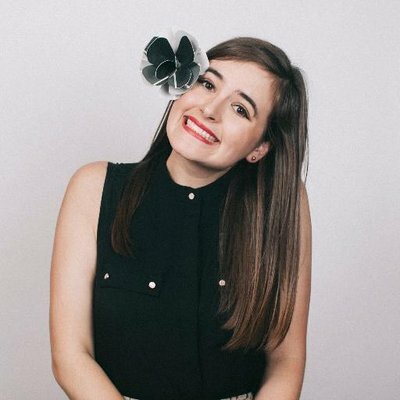 Christa Field is the Creative Director at Alley Interactive, specializing in brand development, design systems, and user-centered design methodologies. Prior to joining Alley, Christa led UX and Design for Viacom's MTV and VH1's Shows Platform. REBEKAH MONSON: Getting down to business. Ready to make the leap into entrepreneurship? Here's a lot of stuff I wish I'd known before I cofounded a startup, and why more designers like you should get into business. YING WU: Mobile news design in China. Half of Chinese use smart phones to consume news.That is twice the entire US population. China has become the biggest mobile news production and consumption country in the world. In this talk, you will learn how journalists in China do news design on mobile and how they integrate the latest technology for news storytelling to get the best user experience on mobile. PAUL VOLPE: The result of the 2016 presidential campaign was a surprise to many. How design helped us miss the rise of Trump -- and how it can help us cover his presidency. How do you start a successful media organization when many that have been around for more than a century can’t yet define success? Find a space where you can be Undefeated. Kevin Merida left his position as Managing Editor at The Washington Post to launch The Undefeated, a news site focused on the intersection of race, sports and culture under the ESPN umbrella. Merida will explain how he made the decision to jump from legacy to the lesser-known, how he built a small team that acquired a massive audience and how story-telling is more important ever before. Join us at the NASCAR Hall of Fame and put your driving skills to the test as we put the finishing touches on this year's workshop. We will honor the World's Best-Designed winners and present other top awards. Have you been influenced, impacted or educated by Cheryl, Darcy and/or Randy? Please linger after the awards presentations for a special group photo. Immediately following the SND Awards Gala, join this year's Lifetime Achievement honorees on stage for a #kodakmoment. The SND Fun Run will start at 8am on Saturday, April 22 in Elizabeth Park near the hotel. Participants will meet at the Spirit of Mecklenburg statue (it’s a big galloping horse). The variable distance jaunt will cater to attendees of all activity levels with a 1 mile, 5k, and 10k loop and we’ll take advantage of gorgeous waterside pathways of the Little Sugar Creek Greenway — which features numerous underpasses and will allow us to avoid all motorized traffic on this run. Afterward, we’ll eat every pancake possible.